You leave believing anything is possible, that with commitment, teamwork, leadership, and vision…your ONE idea—like Thomas Edison’s 1879 incandescent light bulb or Henry Ford’s Model A in 1903—can change the world. 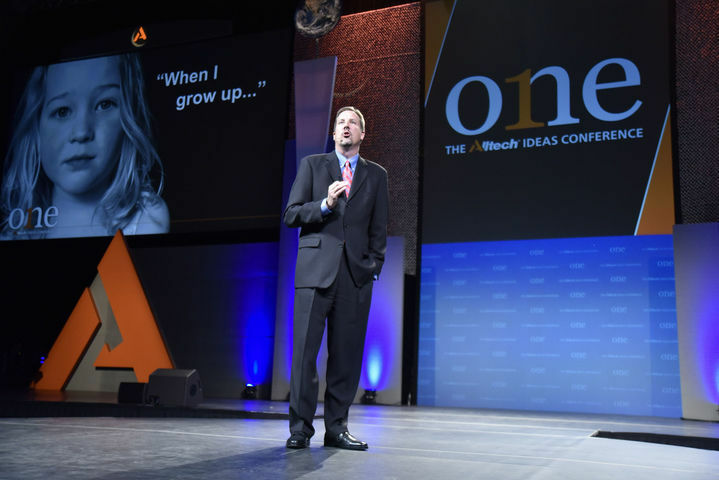 That is the theme of the 2016 Alltech ONE Ideas Conference, which ran May 23-25, 2016, at Rupp Arena in Lexington, Kentucky. Founder and president Pearse Lyons, whose privately-held global corporation based in Nicholasville, brings education and interaction opportunities together with mind-expanding visionaries. 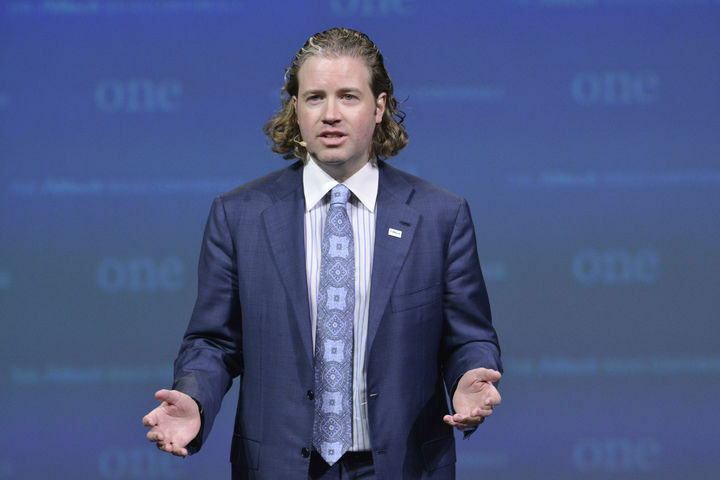 You might think this conference focuses only on Alltech’s core business—that of innovative use of yeast fermentation and improving the health and nutrition of pigs, poultry, beef cows, and aquaculture, or their latest venture into craft brewing and distilling—but you’d be wrong. 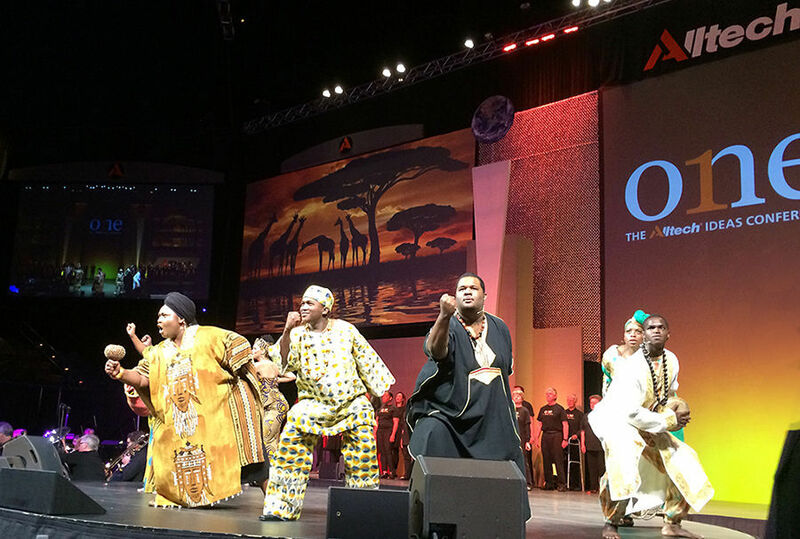 The Alltech symposium—in its 32nd year—is about so much more. It exposes business professionals from around the world and across industries to refreshing insights and perspectives. Alltech recognizes that the problems of the world, such as food insecurity, human health, or emerging markets, impact us all and that by partnering and sharing information it can provide a solution to a world crisis. 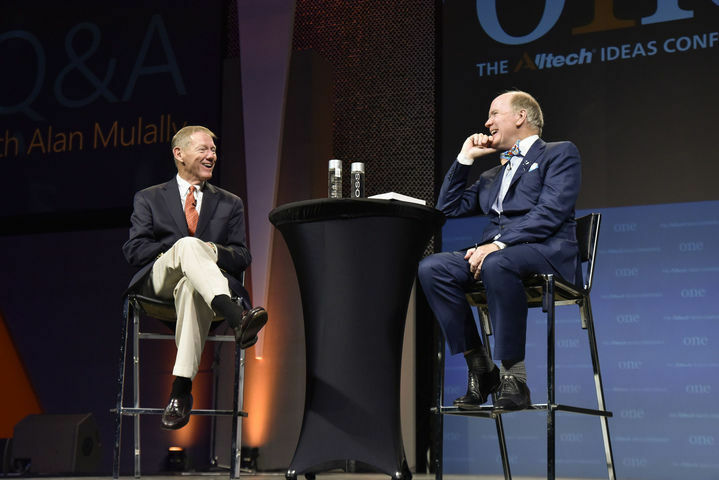 Monday morning kicked off with keynote speakers business executive Alan Mulally, University of Kentucky Coach John Calipari, and Alltech’s Pearse Lyons. Among 28 breakout sessions arranged across seven main topics Monday afternoon, there were a leadership class from business coach guru Jim Stengel, a discussion about the sugar crises affecting world health, and the very local topic on how to improve the unemployment in eastern Kentucky. 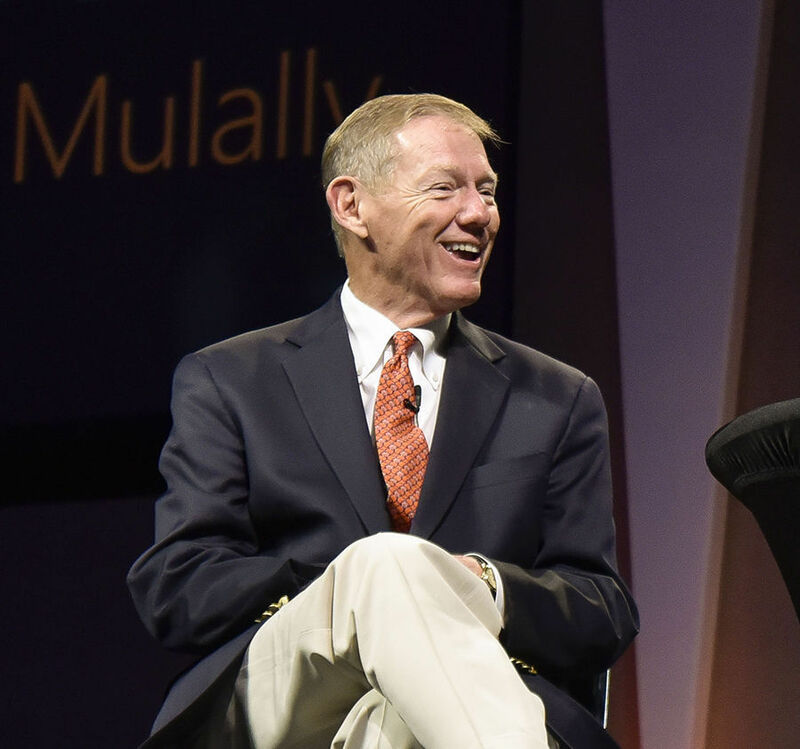 ONE kicked off honoring Alan Mulally, the previous president and CEO of the Ford Motor Company, with the Alltech 2016 Medal of Excellence for his ability to create a strong team focused on a single objective that led to the resurrection of one of the all-time great brands: Ford. The Medal of Excellence is Alltech’s highest distinction, awarded annually to someone of great achievement and character. “Working together always works,” he says. 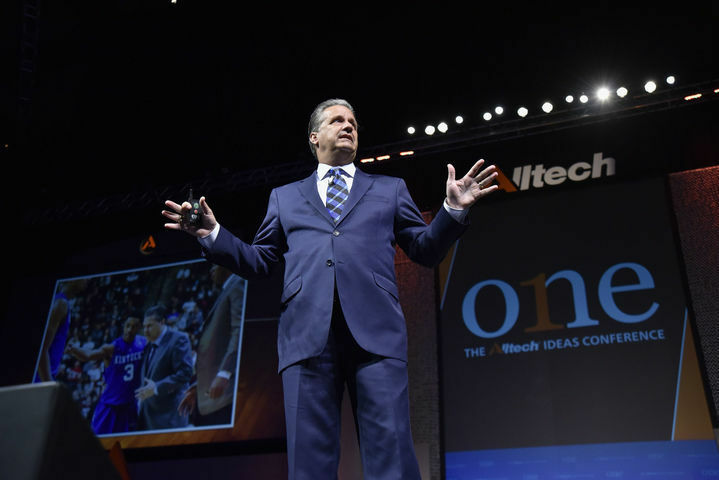 John Calipari, head men’s basketball coach at the University of Kentucky, spoke about building a team and working together to achieve goals within a team. 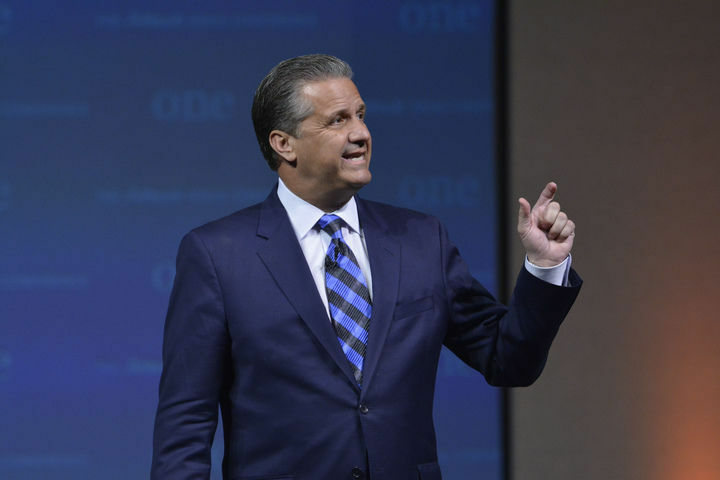 Calipari warns not to let social media take the place of face-to-face contact and about creating an attitude through caring. It shows his players that he is serious about his job and he wants what is best for them. “Turn on your lamp,” he says, to light the paths ahead on your journey of discovery. Dr. Lyons says there were many “lamps” that lit the path on his journey. Bringing his team along on this journey of creating a $2 billion company was important for him. “If we share our ideas with others, we can all conspire to help to make those ideas come to pass,” says Lyons. Opportunities are everywhere, yet those opportunities are fleeting; in fact, Dr. Lyons believes you have to grab those opportunities within a 24-hour period. He poses the question: “Where do ideas come from?” In looking for those new ideas, always look for the catch—what’s the catch? Then, find the solution. Jim Stengel, business coach and former Global Marketing Officer for Procter & Gamble known for his work with brands and business growth, shared information from research for his new book, Centurions and Startups: How They Can Thrive by Learning from Each Other. Stengel explains that what he found was successful companies shared information. You need to learn from both 100+-year-old centurion companies and new, fast-paced startups. To build enduring brands with long-lasting growth, a company must stay innovative and agile. 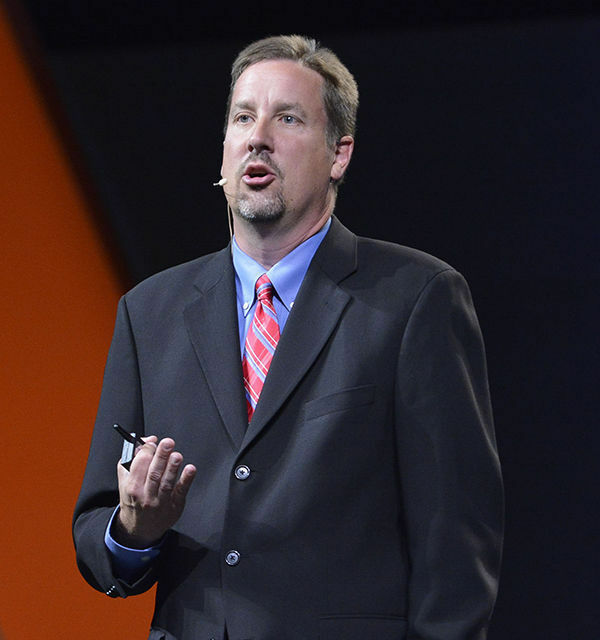 Global Vice President & Head of Greater China for Alltech, Mark Lyons, discussed the sugar crisis that is affecting the world, which is a significant health challenge we’re facing. Lyons explains that we hear so much about the American diet or the Western diet, and how it is creating massive problems. “In this country people are consuming 150-170 pounds of sugar per year. It’s more shocking when we look back 100 years (we consumed four pounds of sugar a year), today we are consuming 40 times more sugar than we were at that time,” says Lyons. He explains there is also confusion about how much sugar we should be consuming. The Food and Agricultural Organization of the United Nations says about 60 grams a day, which is only about one-third of what the average American is consuming. But the World Health Organization is saying it should actually be much lower than that, almost a third of that amount, or 24 grams a day, the amount in one soda. Sugar is hidden in foods that consumers perceive as both healthy and unhealthy, explains Lyons. People are consuming a lot more sugar than they think. He says it is tied to obesity, heart disease, hypertension, and dementia. One-fifth of deaths are linked to sugar. “One-third of Americans by 2050 are expected to have diabetes unless we make one big change,” says Lyons. Lyons’ history lesson explains how the sugar industry tried to make people think that fat was the issue, and it was not. Then in the 1970s, along came high-fructose corn syrup, which actually does the opposite, it boosts fat-storing hormones. With over 57 names for sugar on labels, it is hard for people to know by branding or by looking at the how much added and hidden sugar there is in a product. Lyons says, “One thing that has been quite controversial is tax to slow the utilization of sugar within these products.” Lyons notes that three-fourths of all processed snacks have some sort of added sugar or sweetener. He outlines the impact of sugar, specifically fructose the most common in our diet, and the health issues linked to it, which includes metabolism changes; fatty-liver disease, which is linked to heart disease and diabetes; increased glucose in the bloodstream that increases the risk for dementia and Alzheimers; and cancerous tissue development in the pancreas. Scientific research shows sugar addiction is real. Lyons explains that sugar consumption makes us release opioids, and the more sugar you eat, the more sugar you desire. Research with rats with high-fructose corn sugar shows it is as addictive as cocaine. On May 20, First Lady Michelle Obama, in conjunction with the FDA, announced there were going to be changes to the nutrition facts label found on the majority of food items in U.S. grocery stores. The first change in more than two decades, the amount of added sugars will be separated from total sugars, so consumers can see what sugar has been added to products. What should we do? Lyons says that consumers are already changing, that according to a New York Times story, A Seismic Change in How People Eat, November 2015, soda purchase has dropped more than 25 percent since 1998; packaged orange juice sales are down 45 percent since 1998; packaged cereals are down 25 percent since 2000; frozen meals are down 12 percent (between 2007 and 2013). Consumers are deciding which brands to believe, and are demanding transparency about food products, says Lyons. Brad Thomas, associate manager of Economic Development for East Kentucky Power Cooperative, Winchester, which provides wholesale power to electric cooperative members in 87 of the state’s 120 counties, shared about SOAR (Shaping Our Appalachian Region), a network of that unites 54 counties and a new initiative to transform the workforce in eastern Kentucky. Thomas says Kentucky is doing very well. “Kentucky has for the past two years had more projects per capita than any other state in the country.” But while the rest of the state has seen an increase in jobs and wages, eastern Kentucky has seen coal mining jobs dry up in the thousands each year, resulting in 32 percent poverty rate, with several counties above 40 percent poverty, explains Thomas. How? “We are going to start with one idea. It’s going to go to one school. It’s going to start with one teacher. It’s going to go to one student.” The goal is to start the largest STEM-based workforce in the country, transforming the area into a center for science, technology, engineering, and math education. Phase 1 of the SOAR-STEM initiative, Thomas explains, is to build a foundation of teacher leaders by targeting 64 teachers in 24 of the SOAR counties initially. The program will provide teachers with the resources to get Teacher Leader Master’s Degrees with National Board Certification, and Project Lead the Way certification. In Phase II, “We will create Project Lead the Way pathways, which is project-based learning that focuses on engineering, biomedical sciences, and computer coding.” Thomas explains this is the future and the opportunities our country need to seize upon, with implementation in K-12, building it out until it reaches 177 eastern Kentucky SOAR schools. “We also want to introduce industry mentors, because we need to connect what (students) are learning in school with potential opportunities for employment,” says Thomas. “Kentucky is a lot more than an agricultural-based state; we’re a manufacturing state,” he says, citing that the state is #3 in automobile manufacturing and #3 in aerospace exports. The next step after that is to create centers of excellence—a boot-camp for students, entrepreneurial hubs, makerspaces (where people gather to create, invent, and learn), biomedical research centers, Nucleus of Advanced Manufacturing, a doctoral degree for economic development, and a mentoring center. To learn more about the initiative, go to SOAR.STEM.org. 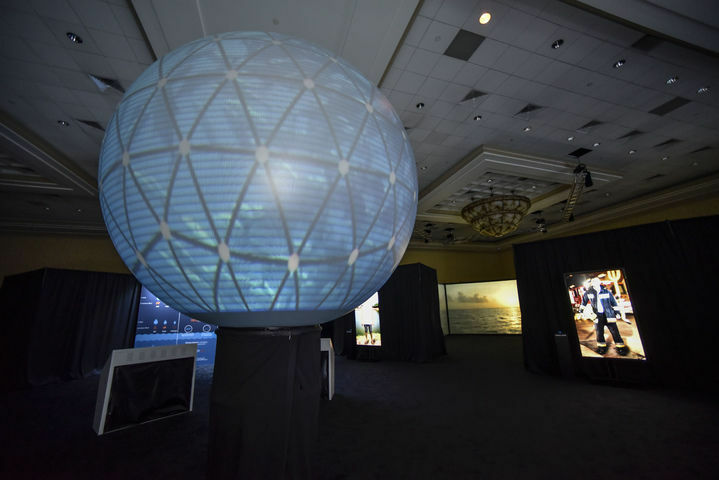 ONE Vision allows attendees to experience a planet of plenty, where technology and science aligns in order to produce nutritious food. 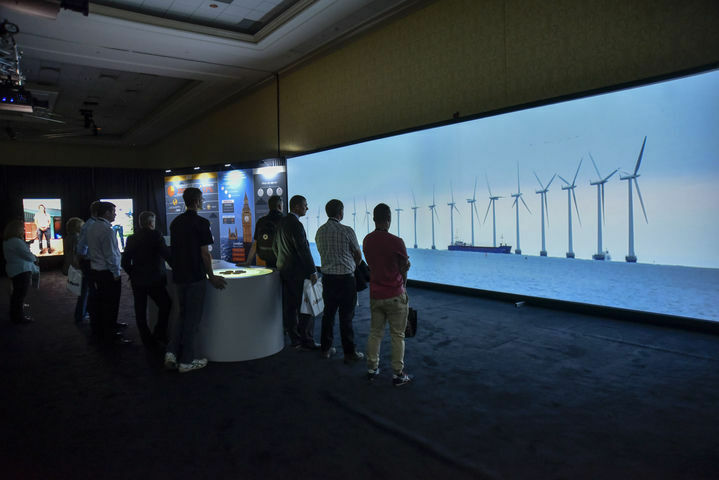 Attendees are guided through a 10,000-square-foot virtual planet that is in harmony with its three essential elements: land, air and water. 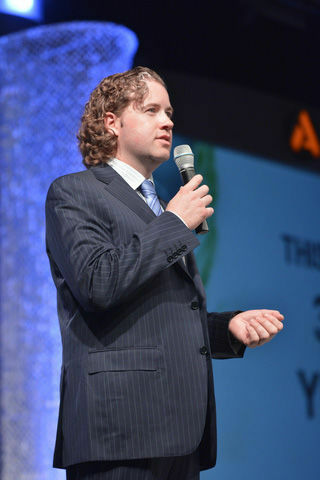 For more about Alltech go to http://http://www.alltech.com/.